Nowadays Vancouverites would be hard pressed to imagine a city without its iconic bridge. But eighty years ago, the now-signature span connecting West Vancouver to Stanley Park marked a radical new addition to the city’s landscape. On November 12th, 1938, the “First Narrows Bridge,” as it was initially called, opened to pedestrians. Two days later, cars were invited to cross the new span, and the channel to the North Shore began it’s tenure as a vital artery to Vancouver, and responsible (in part) for the rapid growth of the North Shore as a desirable place to live. Back in the 1930s, the push for the bridge had been spearheaded by the Guinness family, seeking a means to drive more residents to their newly acquired British Pacific Properties. The 4,000 acres cost all of $75,000 with a promise to build homes. The location needed to attract residents, and Vancouverites needed encouragement to look farther afield for properties. Moreover, it was quickly decided that this new entrance to Greater Vancouver needed a more distinctive name. “Lions Gate” emerged from an 1926 article published in West Van News, which compared the then-planned bridge to the “Golden Gate Bridge” in San Francisco and declared that “Lions Gate” would “do more to advertise the attractions of Greater Vancouver.” Indeed, perhaps the unofficial moniker did its job from the start, as King George VI and Queen Elizabeth presided over the official opening on May 29, 1939. From symbolically representing the city on news broadcasts to being the namesake for “Lions Gate Studios,” the Guinness family’s bridge certainly achieved its purpose—creating a gateway of note. 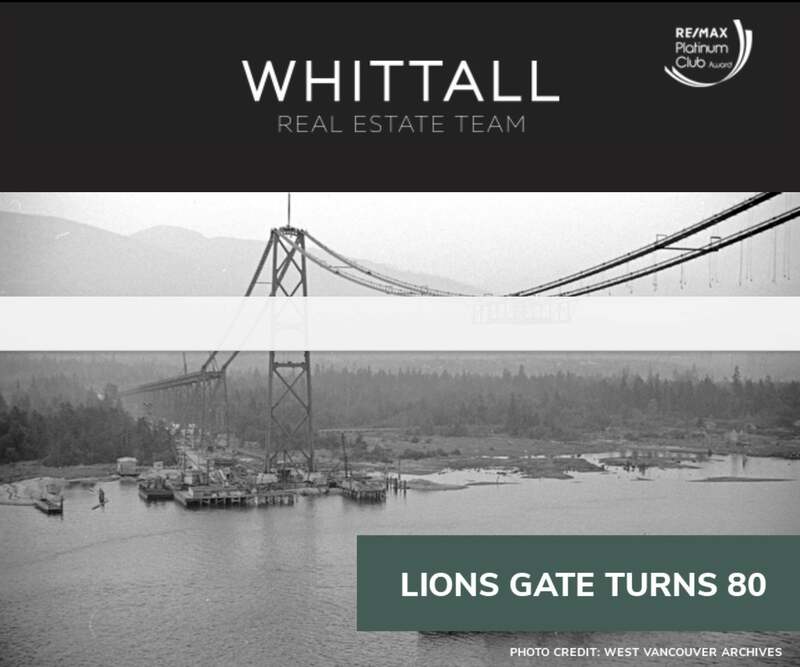 So happy birthday, Lions Gate. We and many others might not be on the North Shore without you.